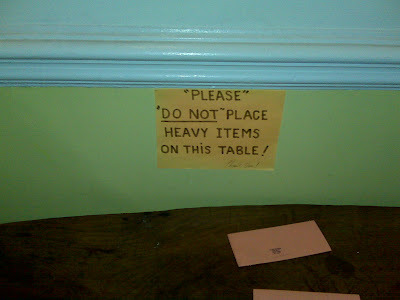 The “Blog” of “Unnecessary” Quotation Marks: seriously, "don't"
If you place heavy items on this crappy old table, it will break and we'd have to get a new one. That would be "terrible" so "please", "don't do it." Thanks, Adam.